Dr. Michael Falcone earned his doctorate in Psychology with a specialization in Marriage and Family Therapy in 2010 from Alliant International University and is a licensed Marriage and Family Therapist. He is serving as the Director of Addictive Disorders Inpatient at Alvarado Parkway Psychiatric Hospital and leads his team in the treatment of complex co-occurring disorders. 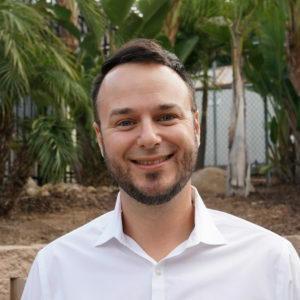 Dr. Falcone has occupied numerous leadership positions in his career including serving as a civilian program supervisor for the United States Marine Corps Substance Abuse Program as well as program manager for a County of San Diego funded at-risk youth program. In addition, Dr. Falcone has been in private practice since 2012 treating individuals, couples, and families struggling with a variety of issues. Dr. Falcone has extensive experience in treating depression, anxiety, stress, trauma, addiction issues, behaviorally challenging youth and relationship issues. He specializes in brief therapy modalities and uses Cognitive-Behavioral Therapy, Motivational Interviewing and Solution-Focused methods to customize his treatment approach to each client’s needs. He believes the best determinate of problem resolution is to establish a therapeutic relationship, trust, and to maintain a collaborative partnership throughout the treatment process to achieve desired results.